Use a high speed and strong torque wrench. Try to prevent additional momentum during mounting/ shearing off of the bolts. 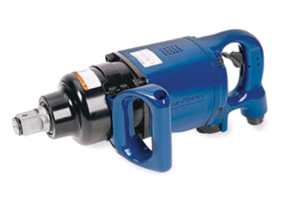 When using an air impact wrench check the air pressure, torque rating and air flow requirements before starting the installation process. 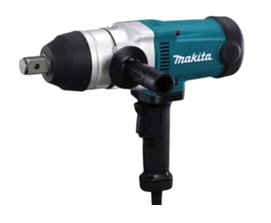 It is recommended to use an impact wrench rated 2x the bolt torque. Bolt heads are not required to be removed/sheared off if appropriate bolt torque is achieved. 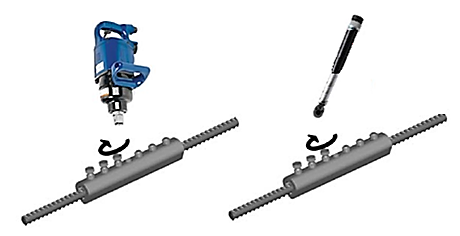 When the space in the element is not enough to use a pneumatic wrench or an electric one, you can use a torque hand wrench to shear the bolt or to achieve the torque momentum. The wrench momentum has to be 2x the bolt torque. 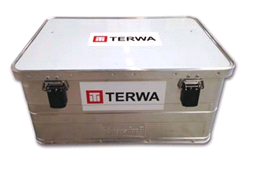 The above-mentioned wrenches are available in boxes with the necessary tooling for the shearing off of the bolts M12, M16 and M20.